Basketball provides a venue for entertainment, for enjoyment wherever one is. 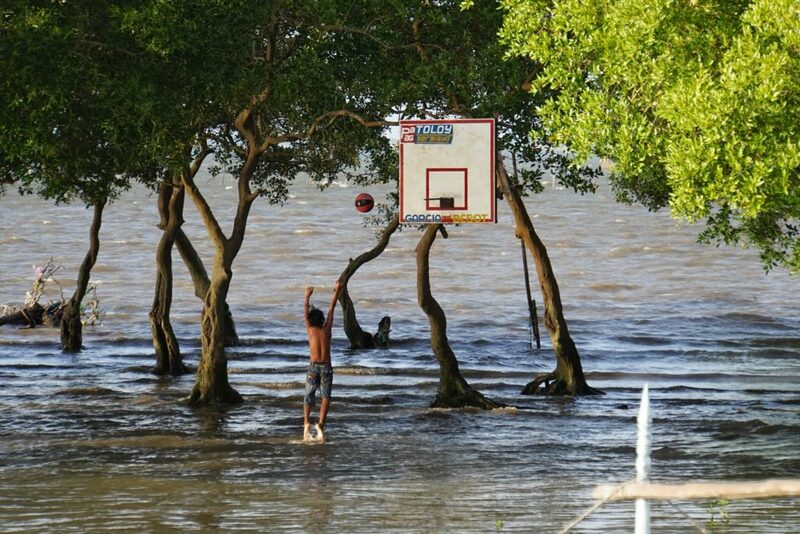 This boy plays the game in a makeshit board on a Mangrove on the sea. The limitations of a court does not bother him.